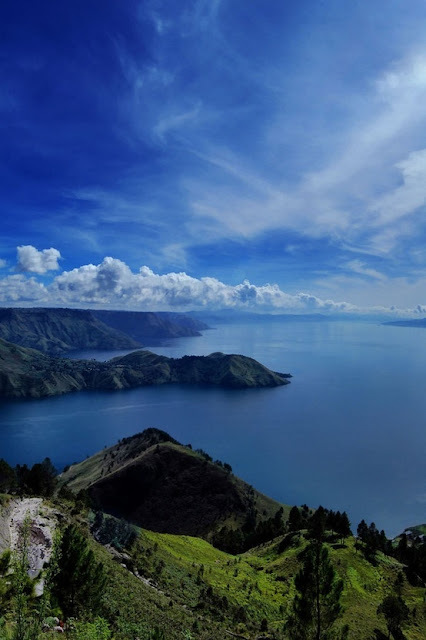 Lake Toba is a lake and supervolcano. The lake is 100 kilometres long, 30 kilometres wide, and up to 505 meters deep. Located in the middle of the northern part of the Indonesian island of Sumatra.